Emergencies and crises can strike at any time. You must be prepared for those, and we go the extra mile to ensure that you are. At MediaBR, we provide our clients with state-of-the-art remote support to ensure that IT woes never slow down the pace of your success. No matter the scale of the problem, or the time it strikes, we’re here to help. When you partner with MediaBR, you’ll find that we’re dedicated to providing you with support, your way. That means there’s no need to escalate an issue to your IT department – just let us know that there’s an issue, and we’ll take care of it. What’s more, you can alert us to the problem in any number of ways. Call us, email us, or submit a ticket and we’ll handle the rest. Of course, we also monitor your network for problems 24/7, so chances are good that we’re aware of the problem and are actively working to fix it already. Today’s businesses can’t afford to be down due to network problems for any amount of time. Even an outage of few hours is not acceptable – every minute your network is inaccessible represents lost profitability, slowed growth, and reduced success. We understand that, and our remote support moves at the speed of business. Our expert technicians will diagnose the problem quickly, and we can often effect repairs remotely, with no need to visit your office in person. Don’t you deserve the peace of mind that comes from knowing you’re supported by industry-leading professionals at all times? We think you do. 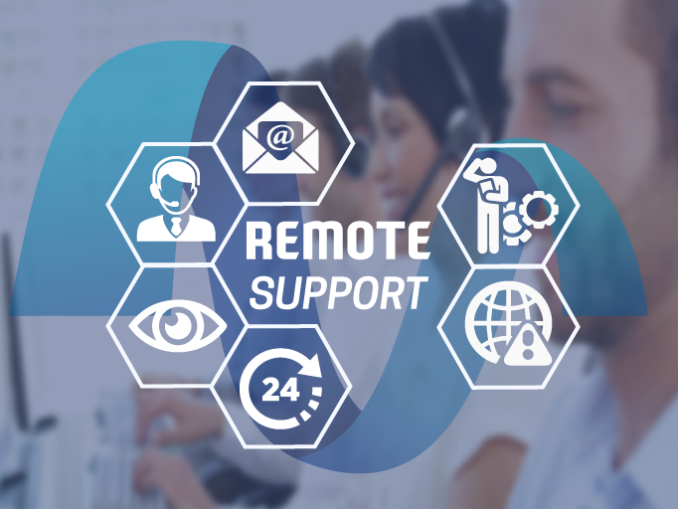 Contact MediaBR today and learn more about our remote support services, as well as our suite of other solutions to help you grow and achieve more.